Are you in search of 10 most excellent ways to get a natural and dark tan? If it’s a ‘yes’, then we can provide you with the beautiful tips easier than before. The collection of safe and reliable ways is right here. Tanning is the process when the sun protects you from UVA and UVB by darkening your skin colour. 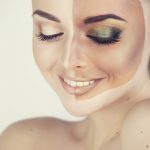 While we like to get an artificial tan in fear that the skin colour won’t be restored back with the natural tan, there are several reasons that we love the sunlight. Sunlight boosts your Vitamin D level, increases the production of serotonin, and also strengthens your bones and teeth. 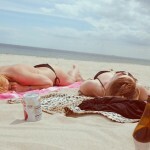 Sunlight is in fact, one of the most reliable sources to get the right amount of tan. You can get a sun – kissed skin along with one of the safest and healthiest way out. Before going for sunbathing, always exfoliate your skin. Exfoliation removes dead cells and makes your skin look fresher. The sun will work great on younger skin cell. Also, the sooner the skin tans, the sooner it will be even its skin colour too. You can use natural scrubbers prepared with sugar, salt, and oatmeal together. This, not only exfoliate the skin but also makes your skin feel softer and smoother. Take a spoonful of almond oil, a spoonful of sugar, and few drops of shower gel. Mix well and use this in your shower before sunbathing. It will give better results as a scrubber. You can always look tanned artificially using a bronzer and tanning lotion, but it is not always safe. It can harm your skin to a great extent if continued on a regular basis due to its harsh chemical effects. 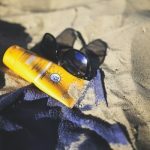 You can use a sunscreen or lotion of low SPF before going in the sun to prevent skin cancer and stay protected from UV rays. The time between 10 am and 2 pm is the best for good tanning results as the melanin secretion stops after this time. So, instead of serving your purpose, the sun can harm you more. Use of coconut oil has always enhanced the effects. It also gives a sensual and glowing look to your skin. 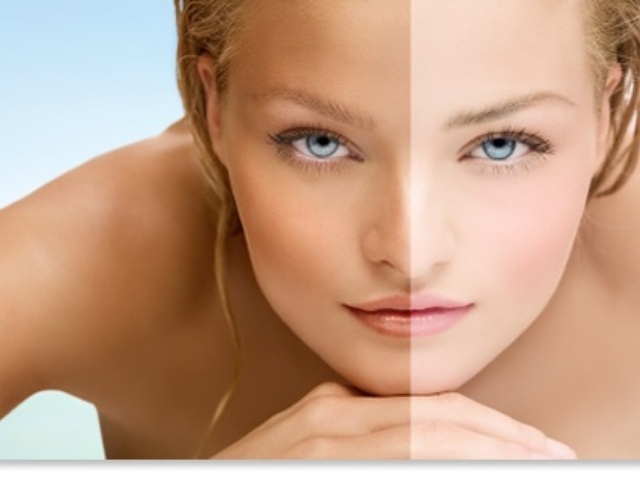 A tanning glow always makes you look more attractive; far better than before using it. Wear a lip balm over your lips. You obviously would not want your lips tanned. It will instead lead to dry and chapped lips, turning all your work to useless. Lips play an important part in beauty. Like a roasting chicken, you need to turn your body frequently to give an even tan all over while sunbathing. Starting from your stomach, then left, then your back, and finally, to your right, you need to change positions frequently to avoid unevenness. Position your legs and hands such that you do not end up having awkward tan lines. If you want to get rid of these ideas, then you may wear gloves on your hands and spread a sunless tanning lotion all over your body! 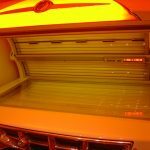 The tanning lotion should be mild, not harming your skin. Now that you’ve got these tips on your fingers. Don’t wait for another summer to come. Visit the direct sun tomorrow, and show off your tanned skin to everyone!